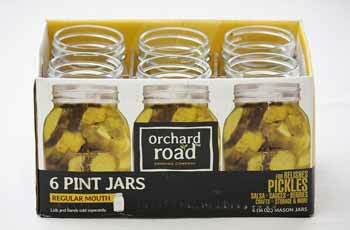 6 regular mouth pint mason jars (16 oz). 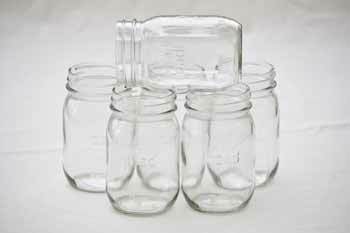 Safely preserve your garden's harvest in these beautifully designed mason jars. 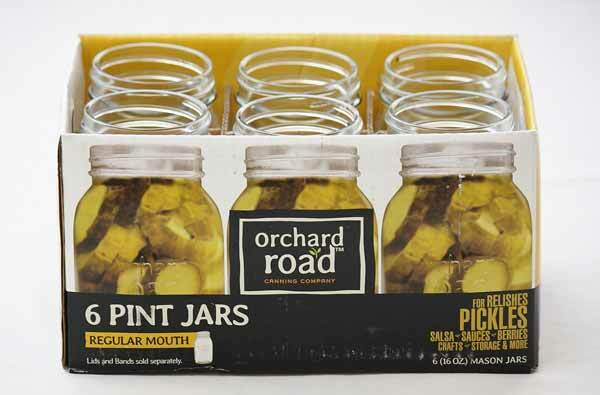 The ingredients speak for themselves in these simple, clear jars. Made by Orchard Road. Lids are not included.